It’s hard to get everything you need for a party by yourself. Picking out a theme, booking the entertainment, renting the venue and coordinating the minute details can take the fun out of even the most exciting event. That’s why KidsParties.Party is here to offer a full list of reputable kids party services that will take over all aspects of event planning. Did You Find the Party Services You Were Looking For? 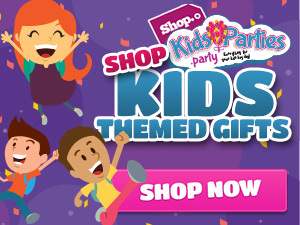 KidsParties.Party is dedicated to connecting busy parents with the resources necessary for hosting an amazing party. With so many different services available, narrow down your search and find what you’re looking for in your state by clicking here. For any questions or inquiries, fill out our contact form. We'd love to hear from you. If you are vendor or entertainer and want to be connected with potential clients, let us help! Register for an account, or give us a call at 732-298-6015 and we can help create your listings.